Human is brilliant one page business WordPress theme suitable for any kind of businesses, freelancers, creative agencies, photography, web developers and portfolio websites. 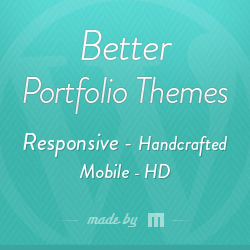 Human theme has custom built light box script and built using bootstrap 3 framework. Coded with valid HTML5 / CSS3 standards and has lovely full screen grid portfolio layout. Human one page business theme enabled with CSS3 animations and compatible with most modern browsers. Supports 600+ google web fonts, 400+ font awesome icons and enabled with various shortcode elements helps you to build your site faster than ever.